There’s a bit more to this question than just the etymology that says “good” comes from “God” and that some say it was originally “God’s Friday.” It’s helpful to just sit and ponder the question a while. Let such stillness take you past the rubrics of theological niceties, past the head stuff about Hebrew sacrificial systems and philosophical nit-picking. Descend into the heart of things, and if possible, the gut. Let the question sit viscerally. 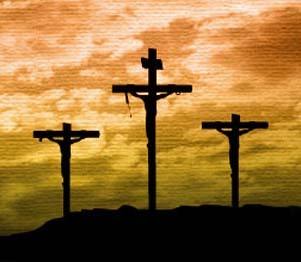 The answer may not come, but you will know at a deeper level what Good Friday is about. And the question will feel different. Then read the story of the Passion in one of the gospels again.